Tracks drivers aspire to drive. Tracks that leave you inspired! The Right Coast Formula F Series is very, very pleased to announce our race schedule for 2017. This season features four “full” Right Coast weekends and two “flash mob” type events. As we get closer to each event we will publish details regarding entry fee, registration details, parking arrangements, driver’s meeting times, on track schedules and other details concerning the weekend. The first Right Coast weekend will be on the Lightning Circuit at NJMP. The weekend will be part of the SCCA Regional. The weekend schedule is not yet finalized, but we anticipate that our drivers will be able to race in two Right Coast FF/CFF/HF only races as well as participate in the normal regional race program. The race entry fee will be structured so that you can race Right Coast only, Right Coast & Regional or Regional only. 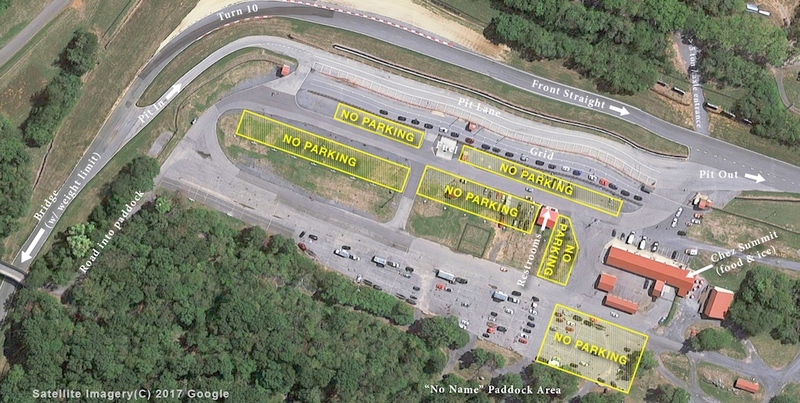 There will be Friday testing available and that day is run by South Jersey Region SCCA on Lightning for an extra fee. On Thursday the 1st there is a track sponsored test day which is listed to be on Thunderbolt and also requires an additional entry fee. The kind folks of the South Jersey Region ran a superbly organized weekend last year and made us feel most welcome and we expect this year’s event to be even better. This race weekend counts towards SCCA license renewal and offers up to four days on track! Register for a FRP Hardcard (for a tutorial on the FRP Hardcard registration click here). The weekends with FRP will feature Friday practice time; a Saturday qualifying session and Race 1; Sunday Races 2 & 3. These Pro races will be run under a USAC sanction. We have been assured that SCCA licenses will be honored and accepted seamlessly and that the participant insurance will be at least equal to that of SCCA sanctioned events. We will post the details on these items in the next few days. These races will NOT be able to be counted toward SCCA license renewal requirements. This race weekend will use the Combined Track or full course that is 2.78 miles in length. Please see the track map for details. The weekends with FRP, at the RCFFS home track, will feature Friday practice time; a Saturday qualifying session and Race 1; Sunday Races 2 & 3. These Pro races will be run under a USAC sanction. We have been assured that SCCA licenses will be honored and accepted seamlessly and that the participant insurance will be at least equal to that of SCCA sanctioned events. We will post the details on these items in the next few days. These races will NOT be able to be counted toward SCCA license renewal requirements. The “flash mob” events have a simple concept and intent. On these weekends, we participate in the existing race program/race group. There is no FF/CFF/HFF only race group or “bonus” race(s). We will try and get as many FF/CFF/HFF drivers to participate as we can with the intent being gaining credibility. Both events are at race tracks that are highly rated and are on most people’s bucket lists. If we can bring enough cars to the event and can demonstrate a strong turnout, then perhaps we can generate the credibility to allow us to negotiate for an FF/CFF/HFF only race group or perhaps even inclusion as a “full” Right Coast type event in the following year’s race program. Test day Thursday November 2nd, 2017 SCCA ARRC TEST DAY SCHEDULE – $250. This is a Road Atlanta governed Test Day, see registration and schedule for more information. You can buy a limited number of test day sessions at a pro-rated rate. The “flash mob” events have a simple concept and intent. On these weekends, we participate in the existing race program/race group. For ARRC there will be a RCFFS FF/CFF/HFF only race group! We can also run in the regular ARRC run group for FF/CFF. We will try and get as many FF/CFF/HFF drivers to participate as we can with the intent being gaining credibility. Both events are at race tracks that are highly rated and are on most people’s bucket lists. If we can bring enough cars to the event and can demonstrate a strong turnout, then perhaps we can generate the credibility to allow us to negotiate for an FF/CFF/HFF only race group or perhaps even inclusion as a “full” Right Coast type event in the following year’s race program. As for driver licensing, almost any current racing license is acceptable although SCCA is easier for most of us, we can accept FRCCA, EMRA, any Vintage Motorsport Council [VMC] member club licenses. If you have a question please contact us and we will figure it out! Vehicle logbooks are always a good idea and bring helmets/Hans with you so Tech is happy. See our ﻿Info ﻿page for additional details.